With cars coming through the gates of our Yennora yard every day, we have the reconditioned engines and recycled parts you need for your repairs - on our shelves and ready to go. As one the best Suzuki car wreckers in Sydney, we would be very surprised if we don’t have the parts you need in stock, but if not, we will do our best to source them for you fast. Our inventory is always changing, and as more cars come in on a daily basis, it pays to call before you leave home, because good quality Suzuki spare parts in Sydney fly off our shelves very quickly, but are restocked just as fast. Don’t forget that we are also the leading Hyundai car wreckers in Sydney, so if you want quality spare parts at the best price, you need to pick up the phone today! If you want quality, second hand parts for your vehicle or even a reconditioned engine, you can’t do better than calling the guys at our Yennora yard. We have a huge range of Suzuki, Audi and Hyundai spare parts in Sydney, all fully checked, saving you a fortune on your repairs. 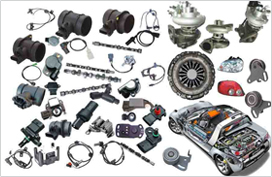 To check if we have the Hyundai, Suzuki or Audi spare parts in Sydney you need or to price a reconditioned engine, call Auto Ice Parts (Leading car wreckers/auto parts shops sydney) on 02-9892 1010, 9892 1110 or email mail@aaautoiceparts.com or complete an online enquiry form.